Hola! It's Friday again, and that means it's time for some of my Favorite Things! Oh, and don't forget to stop by Vivian's blog. I'm doing a crazy awesome guest post there today all about... well, go read it and you'll know! Seeing as it's umm.... 4 a.m. there right now, though, I'm sure my post isn't up yet! Another source of motivation (as if reading my awesomeness wasn't enough): She's hosting a Bed, Bath, and Beyond Gift Card Giveaway! FAVORITES: 1. Warm and cozy blankets. Especially when it's cold and rainy outside like it has been lately. 2. 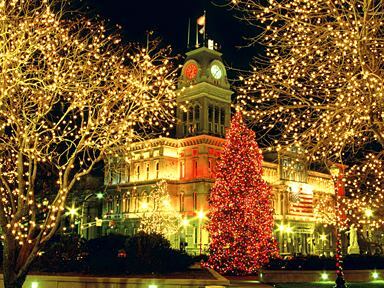 Christmas lights. Because who doesn't like seeing those beautiful things when it's only 4:15 and already pitch black outside? 3. Good books. 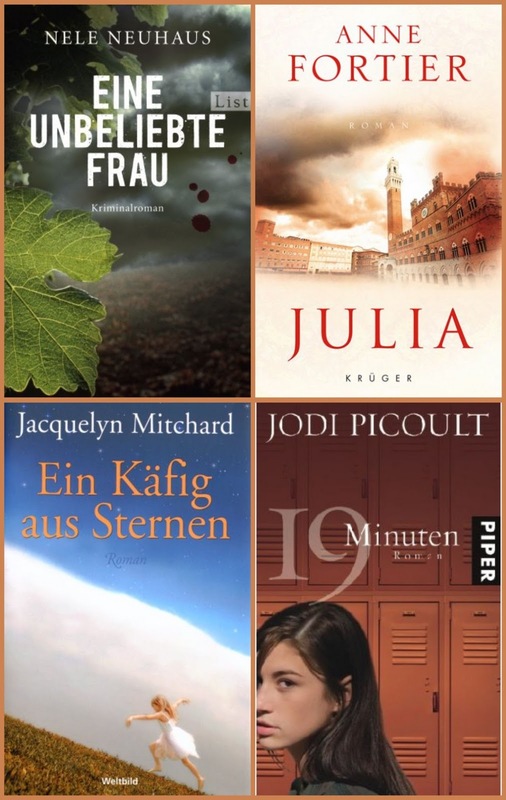 I just finished reading 19 Minuten (English: 19 Minutes) by Jodi Piccoult. Amazing, and I highly recommend it. Other recently finished novels include: Anne of Green Gables, Eine Unbeliebte Frau, Wicked, Adventures of Tom Sawyer, Adventures of Huckleberry Finn, Alices Abenteuer im Wunderland, and The Guardian. On my list for this week is Ein Käfig aus Sternen and Julia. 4. Wedding Pictures. Even though we've been here almost four months, our house still does not feel like a home. 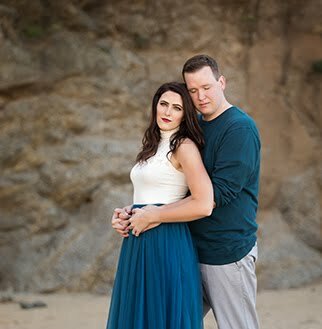 We're missing pictures, and I love our wedding pictures. 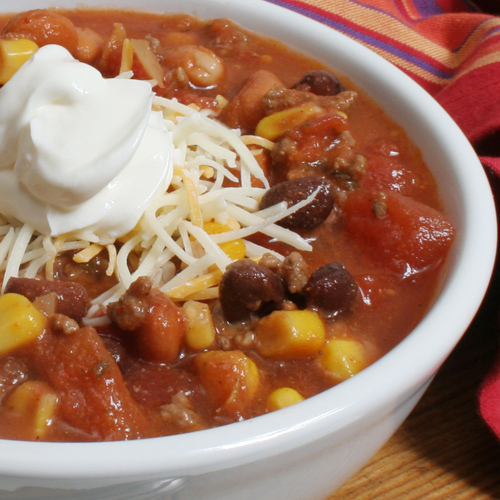 Recipe:Combine all ingredients in a pot (or crockpot). Do NOT drain anything. Stir. Let it simmer on low heat for about an hour (or all day if you've got a crockpot), stirring occasionally. Thin it out with water if you so desire. Serve over tortilla chips with cheese and sour cream. Eat. Enjoy. PS - Did ya read my guest post? PPS - Linking up with Casey this beautiful Friday! Pinned that Taco Soup! Yummy, plus its cold and crappy here today so soup is perfect-o. 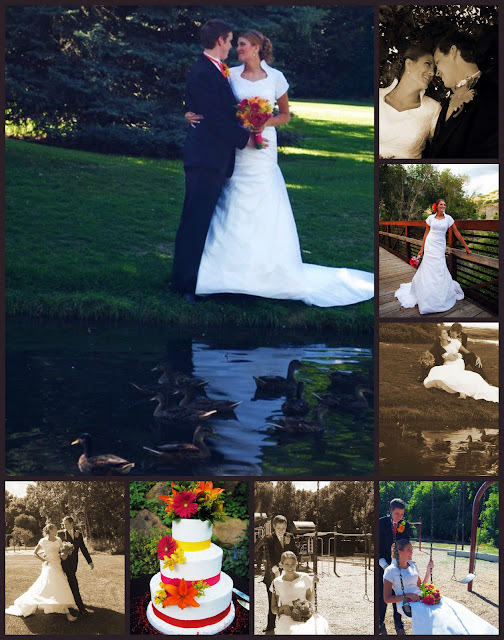 i love the wedding pics:) a home is def. not a home without photos! It is ridiculous how early it is getting dark! It is completely throwing off my days! And the chickens, they go to bed as soon as it gets dark!! I'm so glad you're reading some of the classics!!! I loved Anne of Green Gables and Tom Sawyer!! But it seems like no one takes the time to read them anymore unless it's a high school class requirement! i made mr. taylor some amazing taco soup the other day. of course, i couldn't eat any since i don't eat red meat, but oh well. i know he enjoyed ! Taco soup sounds good! I'll try making this soon. Oh, how I love taco soup!! Great post! Christmas lights are my favorite. :) Also, a good book is always great. I just finished "Sunday's at tiffany's" by James patterson and it was great! I might try that soup!